Home Enjoy Life Christmas To the One who is Grieving this Christmas. 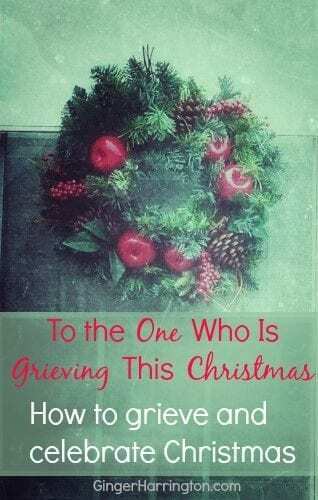 To the One who is Grieving this Christmas. 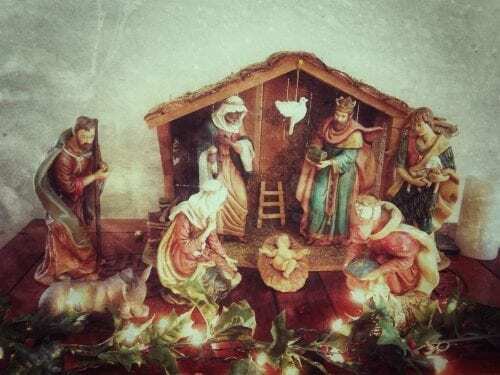 The lure of the Christmas season has been built layer upon layer with tradition and fantasy until is nearly breaking with the weight of our expectation. In our heads we carry the picture perfect holiday. 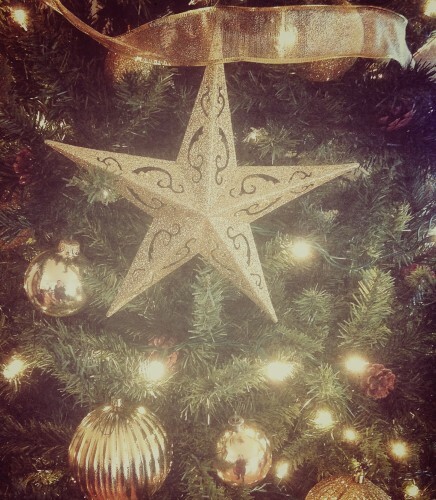 Visions of laughter and joy sparkle like glittery ornaments on our tree. With rose-colored glasses we sometimes visualize perfect family times as if we live in the midst of a Christmas card photo. When you don’t feel like celebrating. 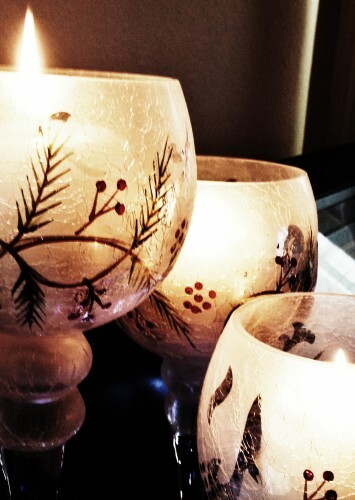 When you’re filled up with grief, the blare of holiday cheer scraps the tender skin of our hearts. The juxtaposition of merry and bright slams into the ache of loss. Is there a place for mourning in the merry making that has become synonymous with Christmas? Grief and hardship do not take a break for Christmas. Surrounded by those who we think have no problems, picture-perfect moments trick us into feeling there is no place for grieving in the happy. In 2005 my dad died on December 5 after a battle with leukemia and a host of other issues. I remember dreading that Christmas as we traveled to a funeral. Can we be truly grateful for the birth of Christ in the face of the death of a loved one or the loss of a dream? How do we grieve and celebrate, mourn and dance at the same time? My children were young, not understanding the reality of death and excited for Christmas. I felt ill prepared to be the parent that Christmas. My Christmas shopping was half done and the decorations were in boxes. Christmas cards sat in a stack on the table waiting for me to have the strength to wish others a merry Christmas and at the same time inform them of my father’s death. In the midst of family issues and relational differences, we came together and celebrated the value of an extraordinary man’s life. In the beauty of life and the pain grief, the worth and meaning of his life resounded strong. Life is like that. Reality and family are like that. And Christmas is sometimes like that. It is real and it is good, even in the hard. Truth overcomes as help for our greatest need is born in a stable. Especially in the hard and the grieving, God is with us; He is Emmanuel. In the face of fear there is joy, in the midst of darkness there is light for God has given us a Savior. On hillsides cold and dark with our loss, angels sing because Christ has come. The Christmas my Dad died took me by surprise. Secretly, I had been holding by breath, dreading the holiday in the shadow of loss. Yet, in our grief and in the broken road traveled, the surface of expectation was torn aside. The gifts God unwrapped in me where the treasures of appreciation and acceptance as I cherished reality rather than expectation. That Christmas, grief cut through the old habits. We hugged a little tighter, loved a little freer, and gazed a little longer in appreciation of one another, despite all the hard things. Laughter and tears, joy and heartache mingled as God gave comfort through the true appreciation of the gift of love. For me, as mother and daughter, wife and sister, I experienced a deeper and different celebration. Gone was the glitz, and I found myself treasuring the gift of salvation and love of family above the festivity of tradition. In our grief, God gave us more, not less. We received strength to hold it all in our hearts–grief and joy, love and loss, shimmering with the holiness of grace. My friend, if you are weary and worn with the burden of loss… If the thought of one more step is too much…reach out for God’s hand. Open your heart before Him, for He is strong enough to handle every bit of our grief. God wants to exchange our pain for joy in His timing. It is okay to go through the process of grief, even in the midst of the joy of celebration. What if we release our expectations and simply live fully in the moment. Accept the imperfect and cherish the real? Making the most of the good and the least of the hard? Be tender with yourself and with others, asking God to give you the grace you need for each moment. We process from hurting to healing one step at a time as we bring our pain to God. Thanks for reading to the end. I’m sorry about the length of this post, but somethings you simply cannot say in 500 words. Some stories cannot be told in a paragraph, and some truths need more space. To the one who is grieving this Christmas, may you be blessed with the comfort of God’s presence this Christmas. Linking with Sitting Among Friends. Dealing with death, Family Life, Grief, Psalms. Bookmark. Thank you Ginger. I have felt God’s presence so near as I walk the path of grieving my Mom. And I have truly felt the prayers of my friends this season as they cover me with prayers for comfort and healing. Sweet friend, my heart has been with you. Writing to you brought forth this post in my heart, something I had never written about. May God continue to comfort you as we begin this new year. I agree that difficulty changes our perspective in so many ways. Death and miscarriages are painful losses in deep ways. My prayers for your strength and comfort are with you. I’m grateful you have received a comforting word through this post today. Thank you for sharing this beautiful piece of encouragement at Sitting Among Friends. The loss of family members at this time of year is hard for so many and you have really encouraged them to turn to Christ in the midst of heartache. So very precious. I believe we have to encourage one another whenever we possibly can. I’m grateful these words can lift up others who are grieving. Thanks for joining me today!